La Réserve offers a variety of culinary delights. 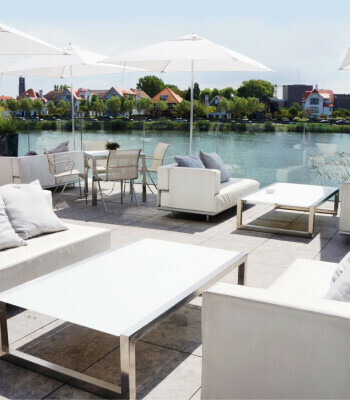 Enjoy sophisticated Belgian dishes in the café or the outdoor seating area with views of the Zegemeer or join friends or family for cocktails in Bar 160. The hotel’s wellness facilities, Phyt’s Spa La Reserva, is an oasis dedicated entirely to your well-being. La Réserve also has attractive rooms that can be used to organise meetings and/or events.